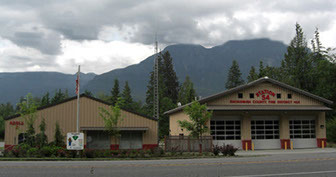 The District Fire Stations are located throughout the Valley. The District is responsible for fire protection and basic life support for the Town of Index and City of Gold Bar as well as the surrounding areas. The District also provides Advanced Life Support for the Town of Baring, City of Skykomish and the Stevens Pass Ski Area located in King County Fire District 50. Station 53 is the District headquarters. It is located in the City of Gold Bar. Station 53 is not staffed but manned by members who respond from home during emergencies. Station 54 is located directly on Highway 2. It is staffed 24/7 by a crew of 3 Firefighters and 1 Paramedic. In addition, 8 Resident Firefighters live at the station. Located in the Town of Index, Station 55 is staffed by a crew of 2. In addition, 3 Resident Firefighters live in a district owned house across the street.